A portable two way radio battery charger is a device that reenergizes a rechargeable portable two radio battery. Battery Chargers can be rapid charge (fully recharged in an hour or less) or trickle charge which require a four or eight hour charge. 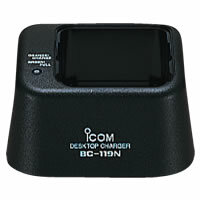 We carry a wide range of chargers, including desk top models and batteries for hand-held radios.